Young woman with hair extensions. If you want to wear hair extensions, wet and wavy styles are a breeze to maintain. Your morning routine will be streamlined and your hair will look great without too much fuss. The length is up to you, whether you prefer shoulder length locks or hair flowing down your back. Try some different hairstyles to give yourself a new look every day. One of the biggest reasons women wear weaves is to add length to their hair. You can opt for clip-in extensions, glued-in extensions or sewn-in extensions, which are attached to hair that's braided to the scalp. The longest lasting, and generally most-realistic looking, weaves are the sewn-in variety. If you choose to wear a long weave (12 inches or more), there are many ways to wear it, including loose and free flowing, in a ponytail, bun, chignon or topknot. You can also try a partial updo, where the top section of your hair is styled up (in a bun or pulled back), while the bottom section of your hair hangs loose. The easiest style for a wet and wavy weave is to simply leave it loose. If you want to experiment with color, you can try a bi- or tri-color weave; just make sure to choose colors that are compatible with your complexion. In general, dark brown and black work well with most black skin tones, while blond and red look best on fair to medium black skin. A wet and wavy weave can be misted with water if needed to enhance the waves. Accessorize this look with headbands (jeweled or plain), barrettes, tortoiseshell hair pins or holders and hair sticks. Wear the weave parted straight down the middle or on one side; when having your weave done, make sure to tell your stylist how you want it parted (if at all). Maybe you want a shorter weave style. Because most weave wefts are sold in lengths no shorter than 8 inches, you may need to have your weave cut to get the exact length you want. Your stylist can take care of this for you. 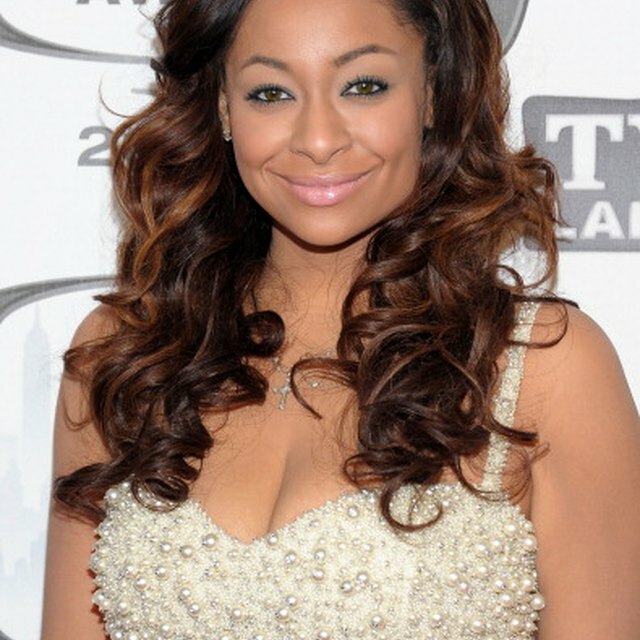 Medium-length weave styles can be just above shoulder length to shoulder-grazing. Leave it loose for a carefree look, but you should also be able to pull it back into a short ponytail. Use hair accessories to add some flair to your look, or clip in individual colored extensions to add color that you can easily remove.